HDFC Bank deploys a robot inside their branch to serve customer needs. This interactive humanoid, christened as IRA or Intelligent Robotic Assistant can greet customers, and then offers the list of banking services which the customer can get avail inside that branch. This Intelligent Robotic Assistant has been deployed in HDFC Kamala Mills Branch Mumbai. Reports say this interactive humanoid can guide the customer towards these banking operations: Foreign Exchange, Cash Deposit, Loans. The robot will take the customer to that particular counter when he/she selects to ‘Take Me There’ option. The process also saves time and human resources as well. “We’re excited to announce the deployment of our first humanoid, IRA in the Kamala Mills branch. 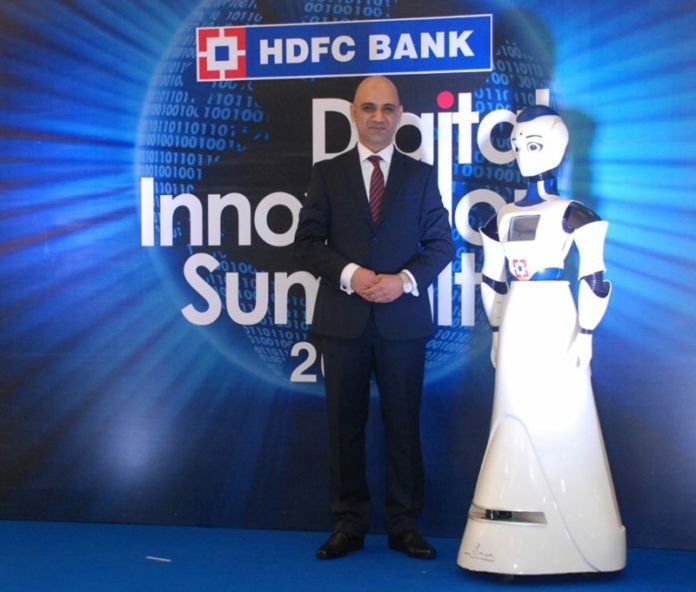 IRA is unique and will serve as a technology demonstrator in the field of artificial intelligence and robotics,” Says, Nitin Chugh, Country Head, Digital Banking, HDFC Bank. As per the reports, HDFC is working on automation since last year. As a result, interactive humanoid under their Project AI is now in the banking sector. The robot will be equipped with facial recognition technology for detecting customers in the next phase. It is also expected these AI robots will offer customized services in coming phases. Thus HDFC removed 4,581 jobs between September and December and justified as attributes improved efficiency as one of the reasons. “The drop in headcount has primarily been a result of the combination of natural attrition and a hiring at a clip lower than normal made possible by achieving higher productivity and efficiencies over the last few months,” HDFC mentioned in a statement. On the other hand, HDFC witnessed their slowest profit growth as their pace slowed down to 15 percent. However, HDFC Bank claims that termination of employees will not affect the slow profit growth. As of now, it is quite a tough task to analyze introducing these interactive humanoids may lead to job loss or not.